Samantha and Aunt Clara. 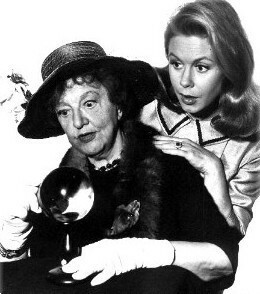 Elizabeth Montgomery with Marion Lorne.. Wallpaper and background images in the Ma Sorcière Bien Aimée club tagged: elizabeth montgomery bewitched samantha stephens marion lorne aunt clara witch images. This Ma Sorcière Bien Aimée photo might contain manteau de fourrure, col de fourrure, la fourrure accent, accent de fourrure, fourrure, manteau, and col en fourrure. Have A Ma Sorcière Bien Aimée Thanksgiving jour From Endora!